My oldest brother asked me what does YOLO mean when we were having a casual conversation with Facebook Messenger. I simply said, “You Only Live Once” and he laughed, using an emoji. Gone are the days when YM or Yahoo! Messenger was the predominant messaging and chat tool during the advent of the pre-Google era. The Yahoo! Messenger chat messaging tool had its original name of Yahoo! Pager and was officially launched on 9 March 1998. Then history moved on until it was officially unavailable on 17 July 2018. The Facebook Messenger was now the most commonly downloaded tool for oldies, newbies, and millennials. Hashtags and terminologies proliferated since using the Messenger meant typing words. In order to shorten the amount of time in typing a combination of words, acronyms became a technological trend. There are many social media acronyms and we have selected only a few of these social network acronyms. means “At the moment” and not the machine that you use to withdraw your hard-earned cash. This is usually used when you are showing what you are currently doing or watching or where you are “at the moment”. By the way, be careful in posting your ATM status because thieves usually take notice of this and they will be in front of your house. Since you are not at your place “at the moment”, they will take chance in doing a burglary at your precious home. usually means Registered Nurse but in social media networks, it means “Right Now” and can usually be put to tell others to do things already. does not mean Tuberculosis in the social messaging network but it means “Text Back” to anticipate receiving a text message from someone. used to mean “To be honest” in an irritable manner but millennials have changed it as a complimentary acronym to tell others how they feel in a positive way. means “You only live once” and that means you should do all the activities that you already can do and you should never hesitate in doing what you want to do in your life. Come to think of it, you really do live only once and maybe later you will not have time to do it again. Remember, it is better to do it and commit mistakes than regret not doing it. 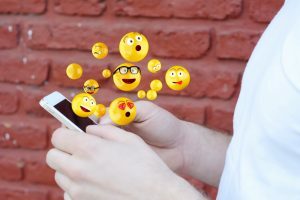 Relative to these internet acronyms, there are other social media slangs such as the so-called hashtags which use the “#” sign and in the world of technology, this is a metadata tag typically used on social media networks so that other people can easily find particular messages based on explicit points. There are hashtags that complete the whole week. Although there are different versions, here are just some of the hashtags pertaining to the memory lane. You just don’t use memory hashtags for the sake of using it. 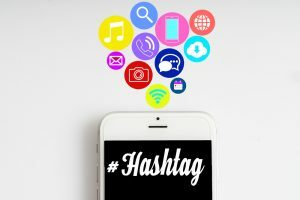 You need to remember that such hashtags need to be PRAISEworthy so that your hashtag will become an instant hit for your followers, readers, and other global audience. Social media is a worldwide phenomenon so it is just right to make your hashtags truly remarkable. It should be three or more years older and the most ideal time should be during your twenties stage. It should have relevance to what your followers want or it should be related to your line of business, especially if you own a business. It should be nostalgic, cool and should be fun and when a person saw it, it will be retained in their minds. It should be interesting for all people not only your relatives and friends but also others outside your own company. It should be a post that can be shared for others to appreciate and have fun to look at while bringing reminiscing moments for the next audience. It should be capable of bringing compelling moments for your audience and touch their inner self. In relation to these hashtags, did you know that the once famous #womancrushwednesday hashtag is already unusable at Instagram? It was due to feminism concerns that Instagram restricted the use of this hashtag. Another noteworthy experience in using social media networks is the proliferation of new internet terms. These new vocabulary words are commonly seen by non-millennials and may leave them frozen for a brief moment. is the proliferation of addiction in watching TV shows, movies, and other videos in a continuous way. Binge-watching is one of the reasons spouses cheat on their partners which means they watch in advance a particular TV episode without the presence of their loved ones. Then both of them will watch that particular episode with one of them not knowing that the other had already watched that particular episode. Then, a lover’s quarrel afterward. are used by most people to show or express their emotions. It was invented by a Japanese mobile application designer, Shigetaka Kurita, in 1999 having been inspired by symbols used in street signs, Chinese characters, Japanese manga, and even weather forecasts. They are true pictures which came from two Japanese words, namely “e” which means picture and “moji” which means character. Hence, they are not a type of any typographic but they are true pictures. Oxford Dictionaries considered emoji as the 2015 “Word of the Year”. pertains to a person or a friend who reads all messages in a social media forum or in group chats but does not have any intention of participating. 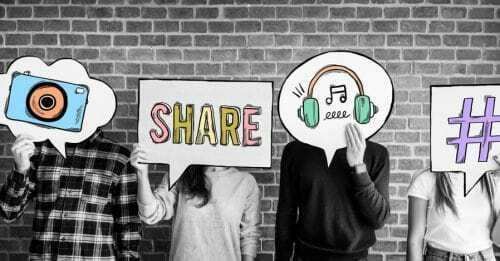 are a cultural symbol or a social idea that generates through a viral online transmission or sending it in a fast moment through social media networks. It usually depicts photos of human behavior in a funny way wherein people who saw it will laugh at it. It originated from the Greek word, “mimema” which is translated as something imitated. The term was already used in 1976 by Richard Dawkins and has written in one of his books, “The Selfish Gene”, that memes are symbols of an idea, behavior, or style that goes viral within a society or in the internet world, quickly spreads on the internet. is a person who usually participates in an Internet forum and posts unnecessary comments that usually ends in arguments and controversial issues. There are still many terms, acronyms, and hashtags out there on the Internet world. These are just some of them. Technology evolves and with this evolution, new ways to express ourselves also unfolds.